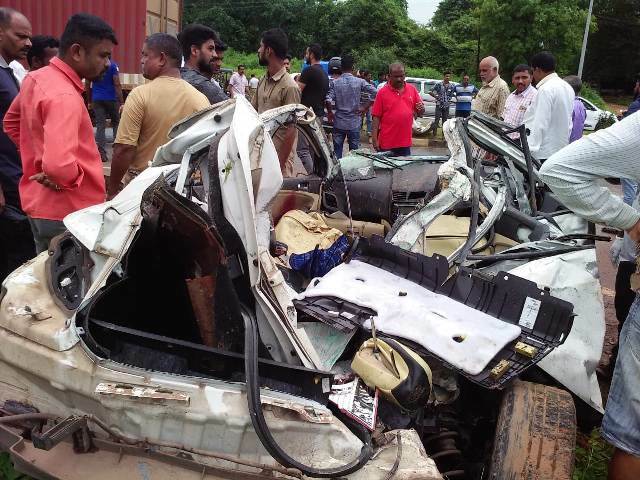 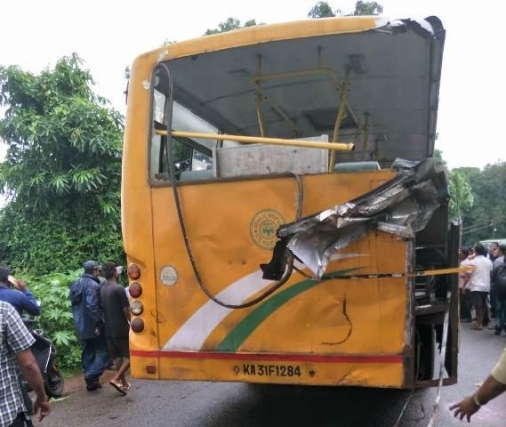 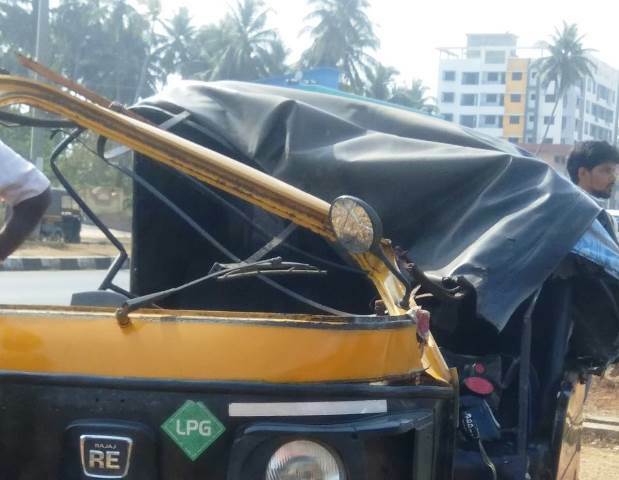 Kumta 7 July 2018: In a tragic road accident on NH 66 here, three people died while 15 others have been reported seriously injured, the accident took place around 5.00 pm on Saturday. 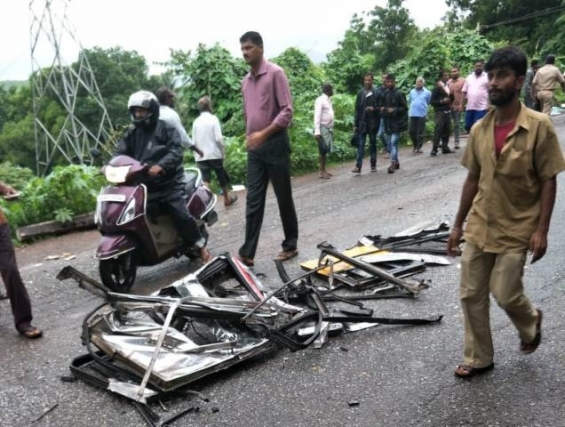 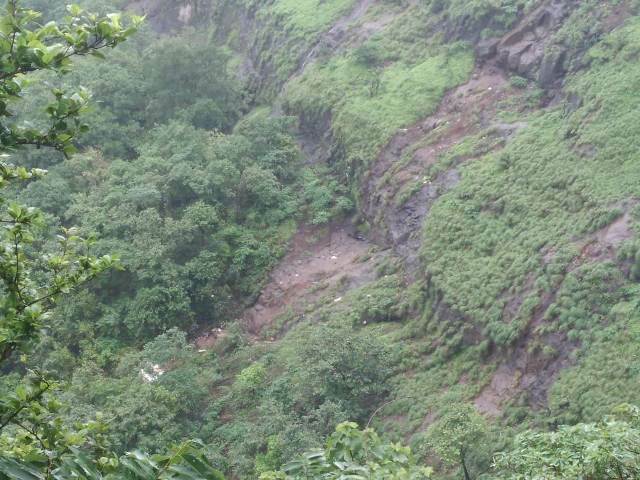 Of the three dead, two died on the spot while one woman died on Ambulance in Honnavar when she was being shifted to a private hospital in Manipal after receiving initial treatment at Kumta government hospital. Another injured Raees (15) a student of Ideal school Kumta is critically injured and has been sent to private hospital in Honnavar according to the latest byte by a Bhatkallys.com source at Kumta government hospital. 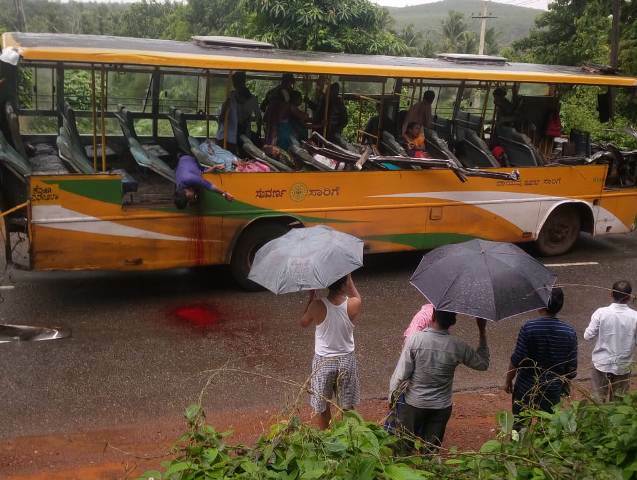 However the source couldn’t identify other injured as of now. 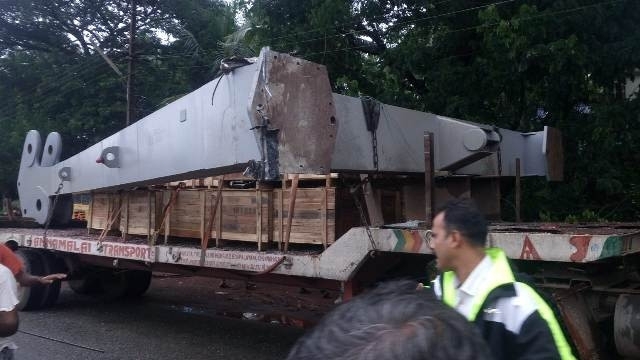 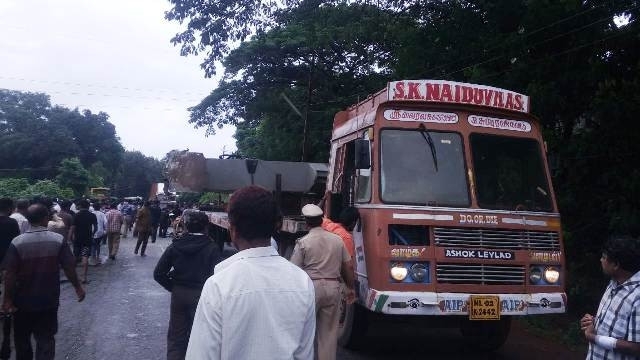 According to the eyewitnesses a truck that was transporting iron polls of HESCOM, rammed into a passenger bus on the National Highway resulting in the tragic accident, the impact of the accident has left the bus completely damaged. 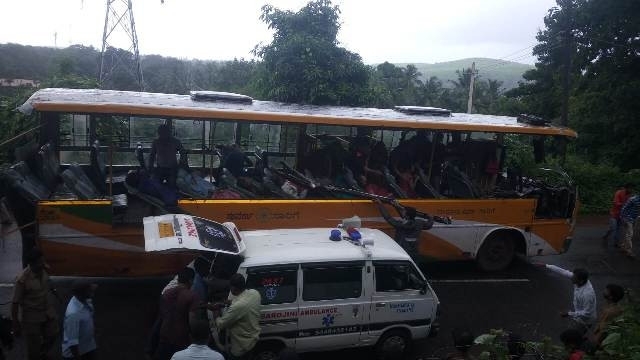 The locals of Kumta along with police officials acted as paramedics at the accident spot and helped the injured rush to the hospital.